Just north of Charleston, SC lies the Cape Romain Wildlife Refuge. It is a large bay and an archeplegaio of islands that I’ve been reading about for some time. This year, I plan to explore this area. In mentioning this to others, a group sort of formed. We’ll be gathering for our assault on April 6, 2019. 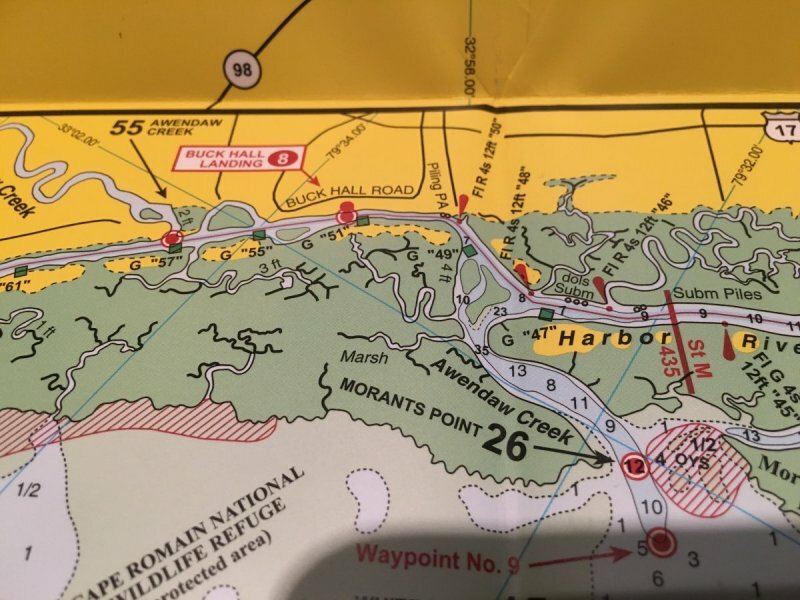 I’ll be camping at Buck Hall campground, arriving on Thursday. Others will launch at Buck Hall, and sleep on their boats. You are welcome to join us. If you decide to come, let me know. I’m looking forward to gunkholing in the SC Lowcountry. I hope you’ll join me. Sounds like fun. The Old Codger and I plan to go. Hope you "baggy wrinkle" guys can keep up as we go "sploring". We’ll give you a tow, when you run out of gas. Glad you’re going. Good point, Don. 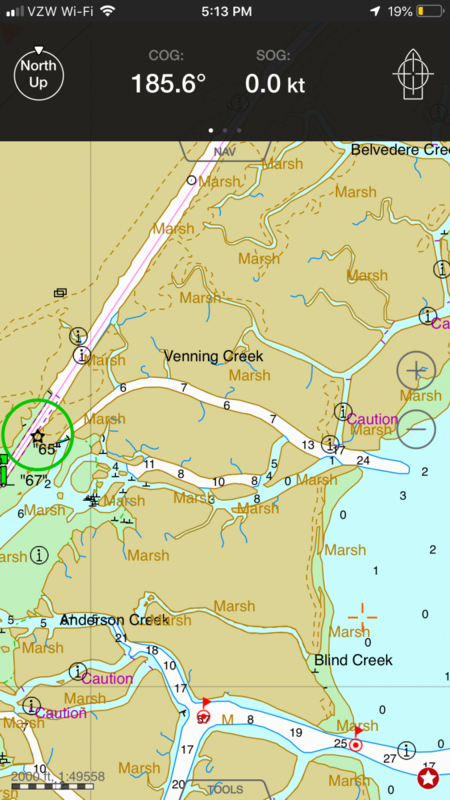 Is the area where we'll launch in water deep enough to sail without staying in channels, or is it mostly salt marsh? Looks like it's on the ICW and then out a channel. Then Bull's Bay. 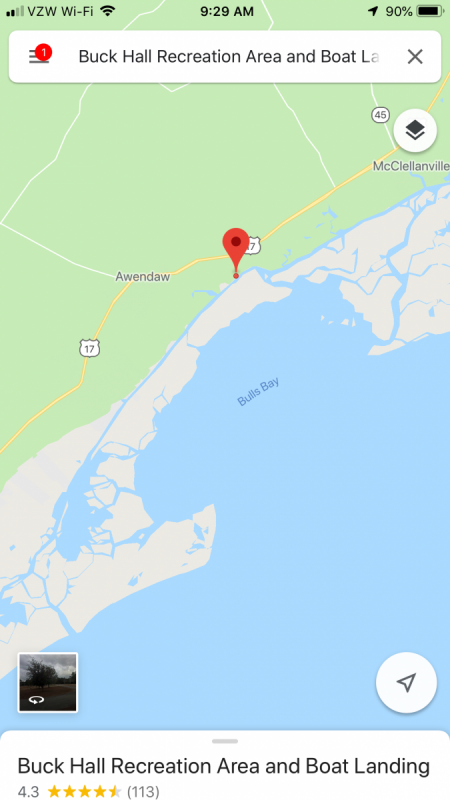 Is the bay open water? How much is the ramp Fee for folks not camping? Is there a daily charge to leave the truck/trailer there? @Chick Ludwig— There is plenty of thin water and oyster rocks to kiss the bottom of Ol’ Codger. But there are many through channels, as well. The bay is open to the ocean, but the bay itself is quite shallow. There are plenty of places to open ‘er up, pull up on a beach, or run aground. Good fun’s a-waitin’! Attached is some detail. One is a photo of a chart I have. I’ll bring that up, when I come to see you. The rest are screen shots off an app on my phone (iSailor). One shows the depths behind Bull Island. Back in the day, before the ICW, plantation owners in the Georgetown area would get goods to and from Charleston using these back creeks. So, yes, they’re deep enough, if you know where to look for them (I’m told). Thanks Don, but i was thinking more of you "rag" propulsion guys. Is it deep enough to sail with your board down. And ya got to follow the waterway and pass to even GET to the bay. A law of nature says that "The wind ALWAYS blows directly down the channel against you." But, don't worry, the Codger will be glad to give you a tow. I finally made it down to that area this past October after much exploring via Google Earth. It was a lot of fun and I hope to get back some day. 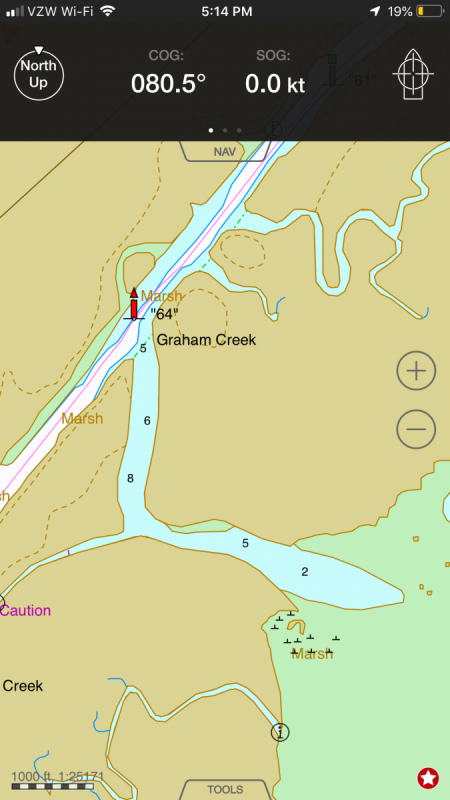 We launched from McClellanville and sailed through the twisty creeks to Murphy Island where we set up a base camp for a couple nights. Lots of solitude. I'd love to join this trip but I am getting ready to blow all of my marital points for a while to go do the EC in a couple of weeks. I'm waiting on "chat" with the Buck Hall Recreation area to get information on launch fees and overnight parking fees. Been waiting for 10 minutes so far. I tried sending a message, but it wouldn't go. Plan- C is a phone call. 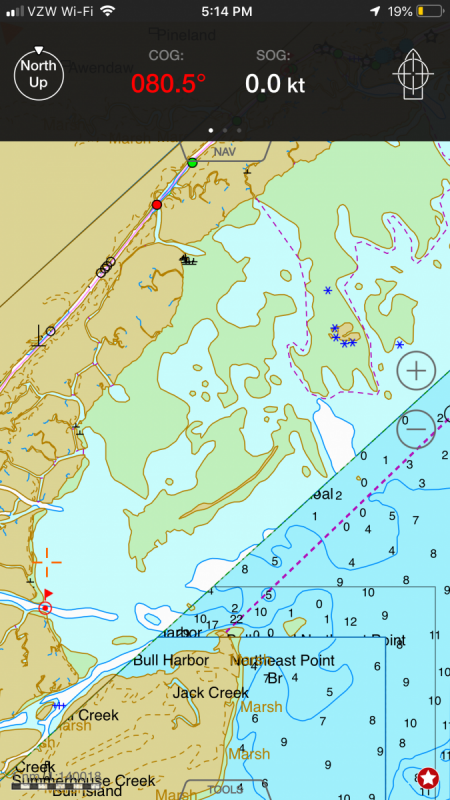 It's gonna be great fun exploring Bull's Bay. Especially Bull Island and Boneyard Beach. Finally called and got some info. The fee to launch/park is $5.00/day. The campground is currently closed for water issues. They had planned on opening this month, but looks like it won't happen. They SHOULD be open in time for the messabout, but didn't seem to sure. They said to call first. We'll keep you posted! The ramp IS open. It is a long way off but if I do not have job conflicts I would like to cruise the area in more depth. I live nearby in Mt Pleasant. Bulls Bay is awesome and beautiful place. You may already know this but if not - In April I highly recommend skin-so-soft or your favorite spray for gnats as that is their prime time. They will tear you up and leave you scratching like a mad beast. Oh and they prefer newcomers - fresh flesh. Friday is looking like there will be about 60% rain. I have plenty of shelter on Carlita but It might not be fun on the open boats. I have a few chores to get done but I should be able to make it. I am not interested in going that far for one day. I would want to stay until Sunday. Landing is ideal for going to Bull Island, but there is a $150 fine for overnight parking. Us day trippers will be using Garris. I am at about 80%. I still have the chores to do before I can go but the weather here tomorrow is perfect so with a bit of luck I will get them done. I am sorry that Chick cannot go but I would not go that far for one day. 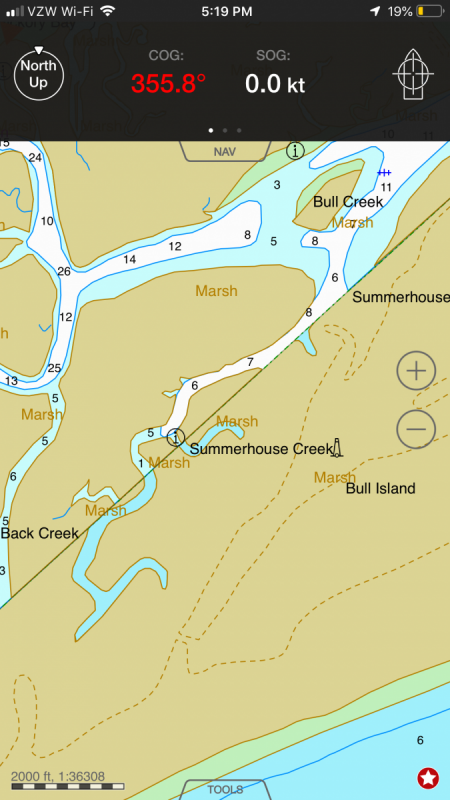 I will try to go to Buck Hall and get there Friday afternoon, launch and go the creek that they named after me. If you email me your cell # I will catch up to you. I am depending on your research. I have been through there twice in the last two years but have never cruised the area.